Three Season Getaway! Very Private Cottage Style Home. Summer Getaway! 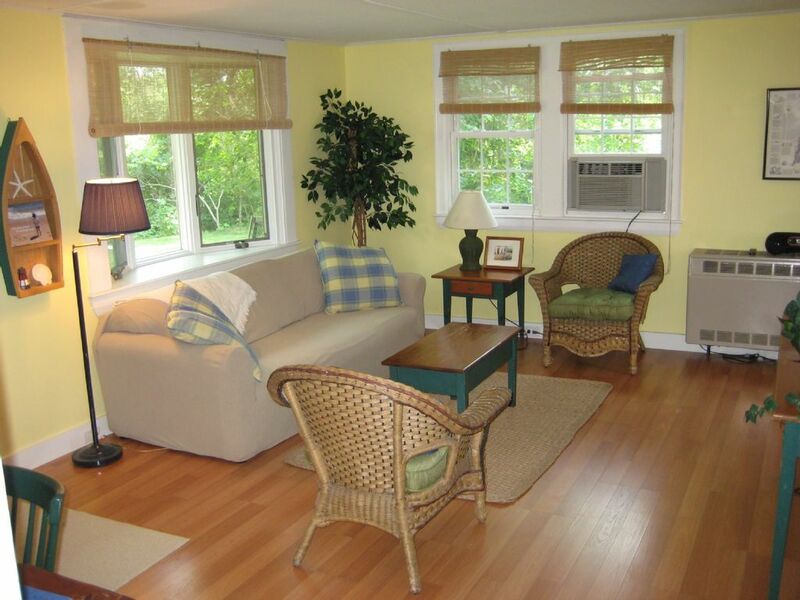 Very private (abuts conservation land), clean and neat 2-bedroom home only 1 mile from Nantucket sound. 2-bedroom, 1-bathroom year round cottage style home sleeps four. Laundry, Eat in Kitchen, Air Conditioned, Outside Shower. Pull out sofa in living room. Cable TV, DVD, Stereo. New laminate flooring and beds for 2010. Large enclosed private outdoor shower also. Red River Beach on Nantucket Sound is an easy and peaceful 1 mile walk away. Air Conditioning, TV, VCR, DVD and Cable (Cable TV in Master bedroom also), Stereo, Laundry, Eat in kitchen, Outside Shower, Charcoal Grill. 1/4 Mile from Bike path. 1 mile from gorgeous Nantucket Sound beaches. Both downtown Chatham and Harwichport are just a short drive from this centrally located property. You name the activity and it's close by; movies, beach, go-carts, trampolines, bumper boats, national seashore, Nantucket and Martha's Vineyard Ferries, freshwater ponds and the list goes on!